How clean is clean? Is air going to touch your process parts? What is the required dew point at point of use? Refrigerated dryer. Economical to operate, but dew point limited to approximately 40°F. Desiccant dryer. Twin towers can remove moisture down to -80° F. However, they are expensive to operate. A good portion of air is consumed to regenerate the desiccant. Particulate filtration. What is required? 5 microns or 0.02 microns? Oil removal. 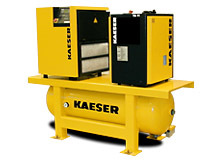 Most compressors have oil that comes in contact with the air as it is being compressed. The air picks up oil which later needs to be removed. 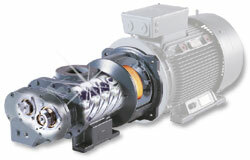 Types of compressors. Which one is for you?